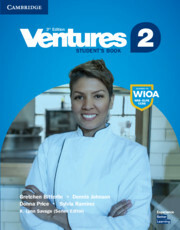 Ventures 3rd Edition Level 2 Student's Book has 10 units with six lessons each, based on relevant adult-learner themes. Two-page lessons are designed for an hour of classroom instruction and are aligned to teach students the skills needed for success in college and careers. Culture notes, speaking, reading, and writing tips enrich and support exercises. Review Units include sections focusing on pronunciation. A College and Careers section in the back of the book addresses needs for more reading practice. 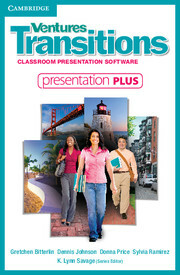 Students can access audio and grammar presentation videos using the QR codes found throughout the book.